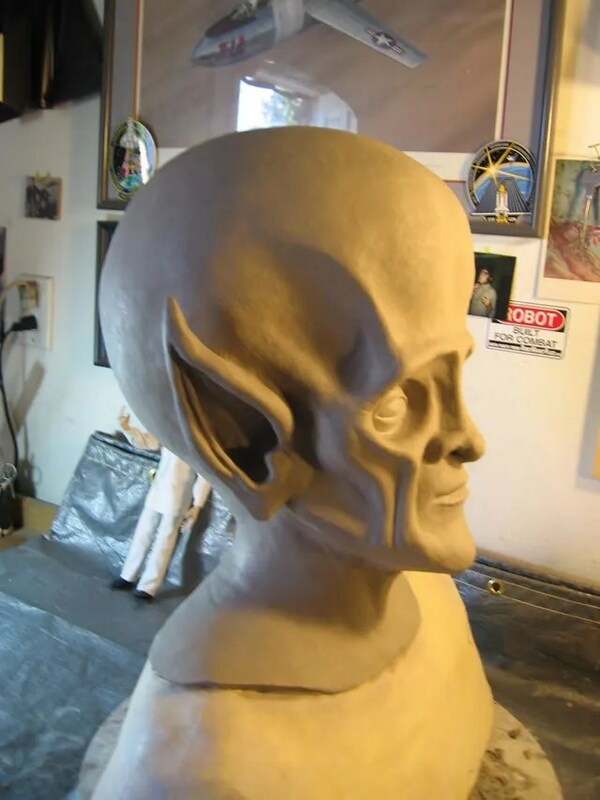 Well looking over the episode full screen and freeze frame I stand corrected by my old friend Guy Conrad who was observant enough to suggest that the forehead furrows were a result of foam compression due to the weight of the foam upon itself. Correct. I have worked with foam latex enough over the years that I should have realized this. Interesting that in pictures it looks like sculpted furrows. There are some painful closeups in the show that on todays modern monitors tells all unlike the old D1 NTSC TVs of the sixties. Man you could get away with murder back then. 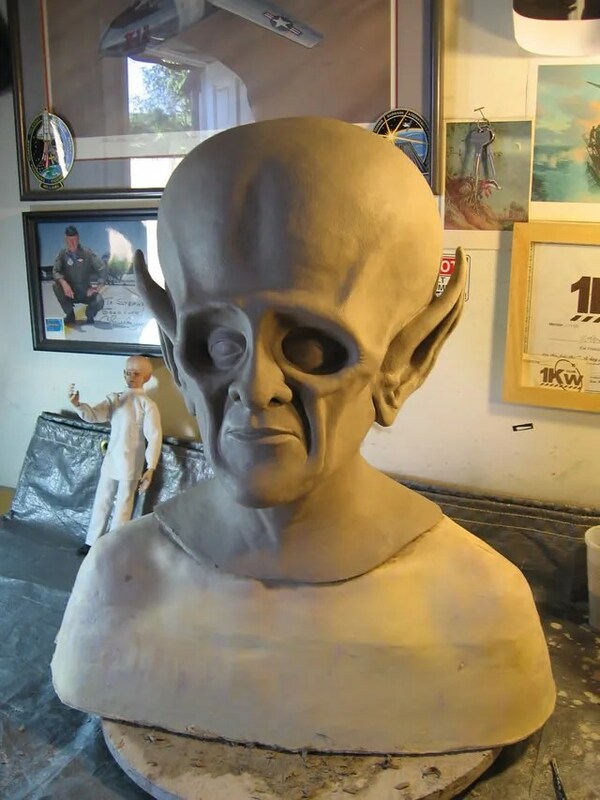 The head is almost done. 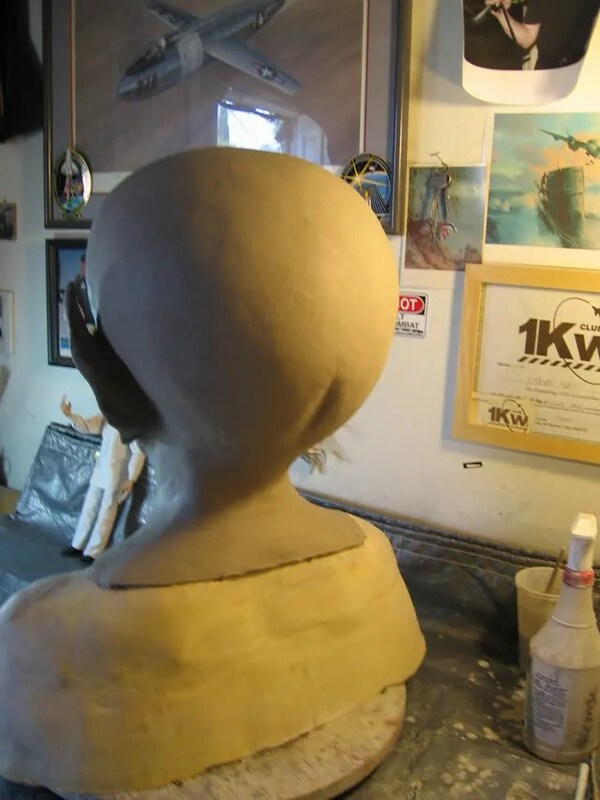 I added the indentation in the back of the head I missed before and changed a lot of the bone structure in the face. Problem is in every angle it looks different as the light plays on it. That and the fact that the foam piece itself is heavily shaded. I think we are looking at a mold tomorrow.